I try not to use all the short cuts and speed through it when I am explaining something, haha otherwise someone who doesn't know revit well will be completely lost. You make a good point. you should gather yourself and redo it! Anonymous, thank you for your comment. I am new to blogging and screencasting. Please email me personally about what I can change and improve. I am open to comments and new ideas that will help my readers better understand. You have saved my job and possibly my career. Superb tutorial! Donation after payday! nice tutorial. i recently started refreshing revit since i learnt it and haven't used it recently and ur tutorials are a real boon. The Revit Kid.com! by Jeffrey A. Pinheiro is licensed under a Creative Commons Attribution-NonCommercial-NoDerivs 3.0 Unported License. Based on a work at The Revit Kid.com. 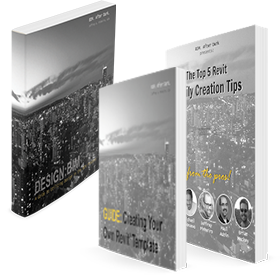 Check out all of the FREE guides available and download today...! Autodesk Revit is a product that is wholly owned by Autodesk. Any reference to Revit, Revit Architecture, Revit MEP or Revit Structure on this site is made acknowledging this ownership. Refer to Autodesk's own web site and product pages for specific trademark and copyright information. Autodesk represents a great many products and every attempt will be made to respect their ownership whenever one of these other products is mentioned on this site. © TheRevitKid.com! - Tutorials, Tips, Products, and Information on all things Revit / BIM. Template designed by Paul Santosh. Powered by Blogger.